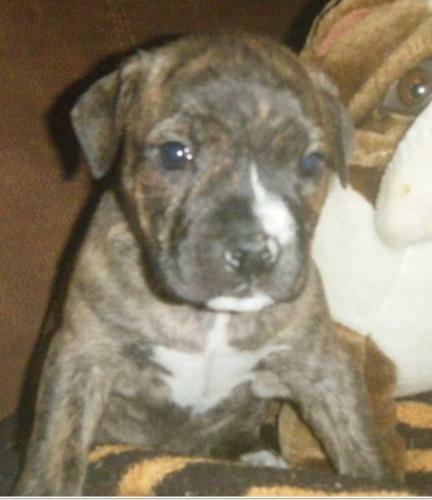 English bulldog cross to bulldog breed puppies 2 girls left. 1 boy 2 shots done dewormed,very socialized healthy hardy puppies. Brindle and a little white.Very short stalky puppies. Low to the ground with nice big heads pics dont do them justice. Pic of adult is dad CKC reg english bulldog.